The Art Deco Poster is one of the most recognizable advertising mediums ever printed. It typically portrayed lifestyle images geared to appeal to the young and affluent. The booming economy and the optimistic spirit of the 1920's created the ideal market for advertisers. Society was actively pursuing leisure activities as well as the thousands of new consumer goods made available during the height of the Machine Age. To grab people's attention, advertisers created posters to market a variety of products and services. 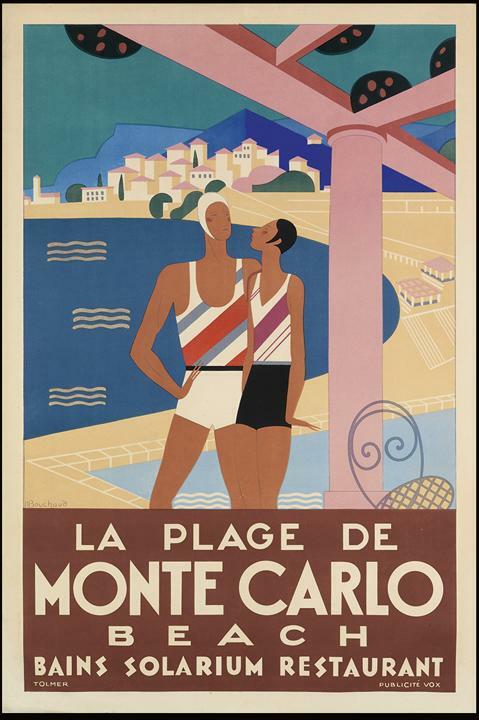 Art Deco travel prints were by far the most popular advertising materials of the day. Images of young, fashionable urbanites in exotic locales appeared everywhere. Also, travel transportation was heavily marketed - especially that of trains, ocean liners, planes and automobiles. Another popular lifestyle advertising print was for leisure and entertainment. Jazz clubs promoted their singers and dance parties and hotels and restaurants advertised their elegant evening dinner or dance soirees. Sporting events, like the Olympics were advertised on posters. The Art Deco prints portrayed the new geometric font and the images of people and objects followed suit. 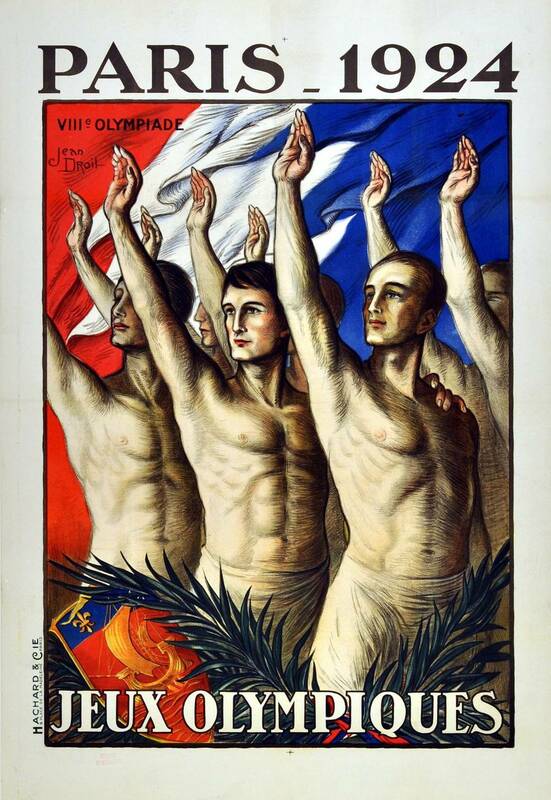 The graphic imagery on Art Deco posters was streamlined and angular - faces and bodies for example, were not very detailed. Instead, human forms took on more of a futuristic look - flat, angular features and elongated, straight-lined bodies. Poster art exemplified that sleek, modern look typical of the Art Deco style.